A telescope in outback Western Australia has been used to listen to a mysterious cigar-shaped object that entered our Solar System late last year. It caused a great deal of speculation! The unusual object—known as ‘Oumuamua—came from another solar system, prompting speculation it could be an alien spacecraft. “So astronomers went back through observations from the Murchison Widefield Array (MWA) telescope to check for radio transmissions coming from the object between the frequencies of 72 and 102MHz —similar to the frequency range in which FM radio is broadcast. When ‘Oumuamua was first discovered, astronomers thought it was a comet or an asteroid from within the Solar System. But after studying its orbit and discovering its long, cylindrical shape, they realised ‘Oumuamua was neither and had come from interstellar space. Telescopes around the world trained their gaze on the mysterious visitor in an effort to learn as much as possible before it headed back out of the Solar System, becoming too faint to observe in detail. 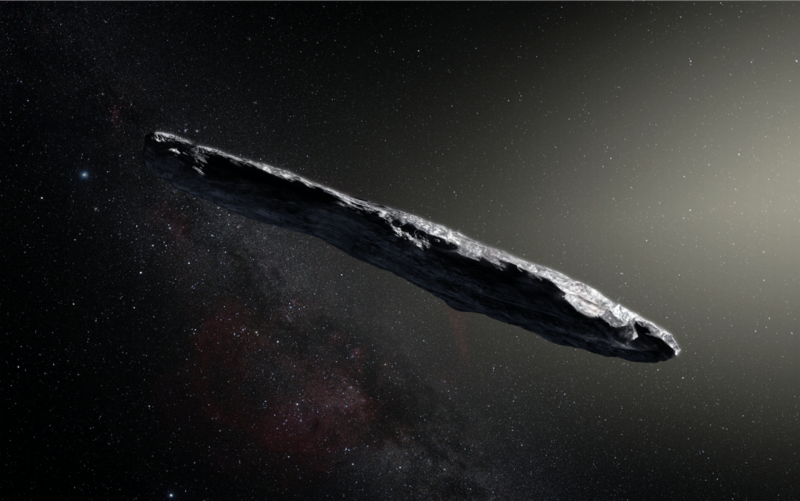 IMAGE: This artist’s impression shows the first interstellar asteroid: `Oumuamua. Credit: ESO/M. Kornmesser. John Curtin Distinguished Professor Steven Tingay, from the Curtin University node of the International Centre for Radio Astronomy Research (ICRAR), said the MWA team did not initially set out to find ‘Oumuamua. 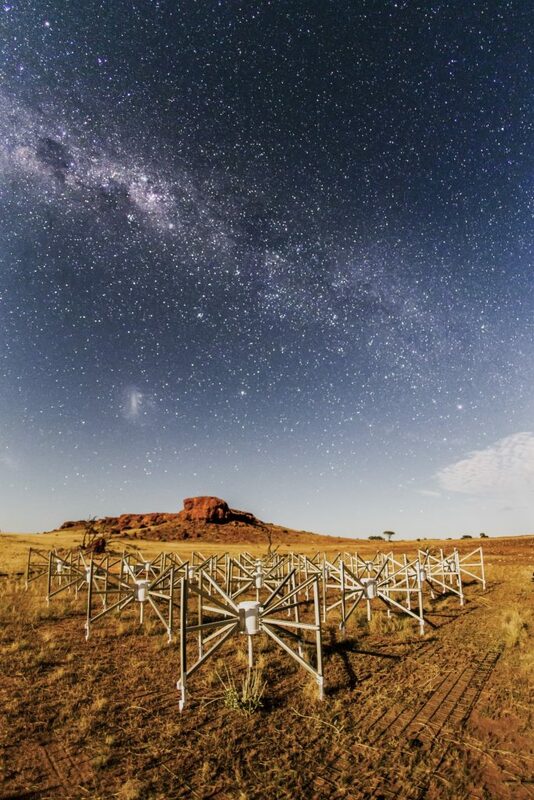 “We didn’t set out to observe this object with the MWA but because we can see such a large fraction of the sky at once, when something like this happens, we’re able to go back through the data and analyse it after the fact,” Professor Tingay said. The MWA is located in Western Australia’s remote Murchison region, one of the most radio quiet areas on the planet and far from human activity and radio interference caused by technology. It is made up of thousands of antennas attached to hundreds of “tiles” that dot the ancient landscape, relentlessly observing the heavens day after day, night after night. IMAGE: Tile 107, or “the Outlier” as it is known, is one of 128 original tiles of this SKA precursor instrument located 1.5km from the core of the telescope. Lighting the tile and the ancient landscape is the Moon. Photographed by Pete Wheeler, ICRAR. Combining observations from a host of telescopes, scientists have determined that `Oumuamua is most likely a cometary fragment that has lost much of its surface water because it was bombarded by cosmic rays on its long journey through interstellar space. Researchers have now suggested there could be more than 46 million similar interstellar objects crossing the Solar System every year.